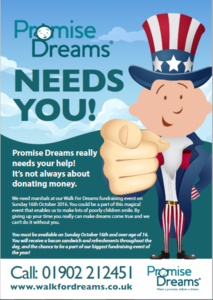 Promise Dreams really need your help! Promise Dreams really need your help! 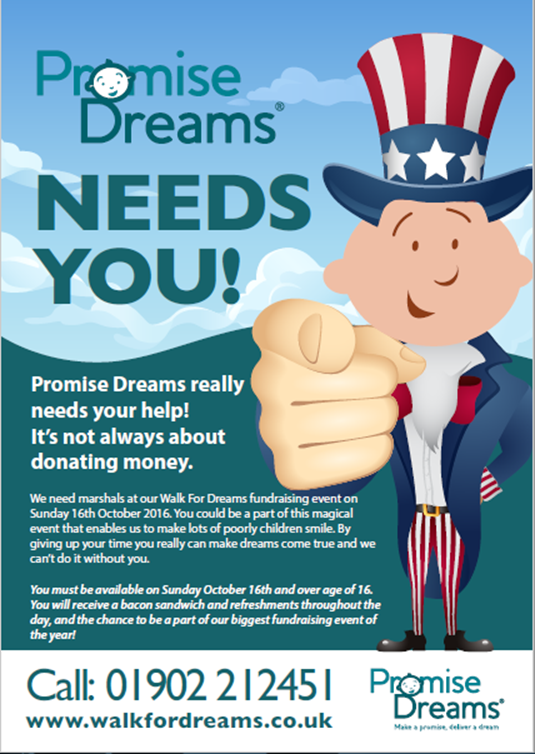 Promise Dreams require marshalls at the walk for dreams fundraising event on Sunday 16th October 2016. Flyer attached with further details. Please call 01902 212451.